Transitional lines paired with mixed media elements create the casual look of the Selbyville Collection. 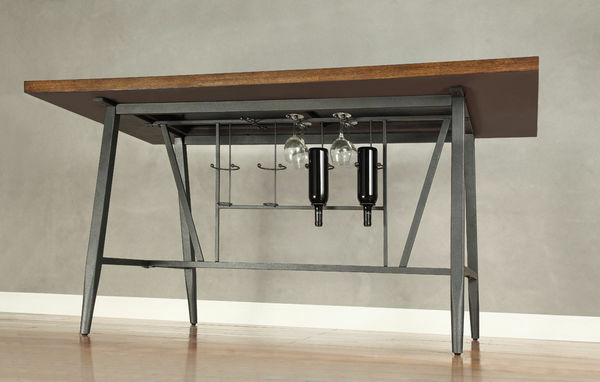 The fixed wood top of the group features a rectangular black glass insert that allows you to look down onto the under-table wine storage rack. 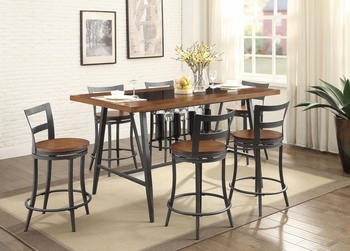 Metal framing supports the table and wood seat swivel chairs. 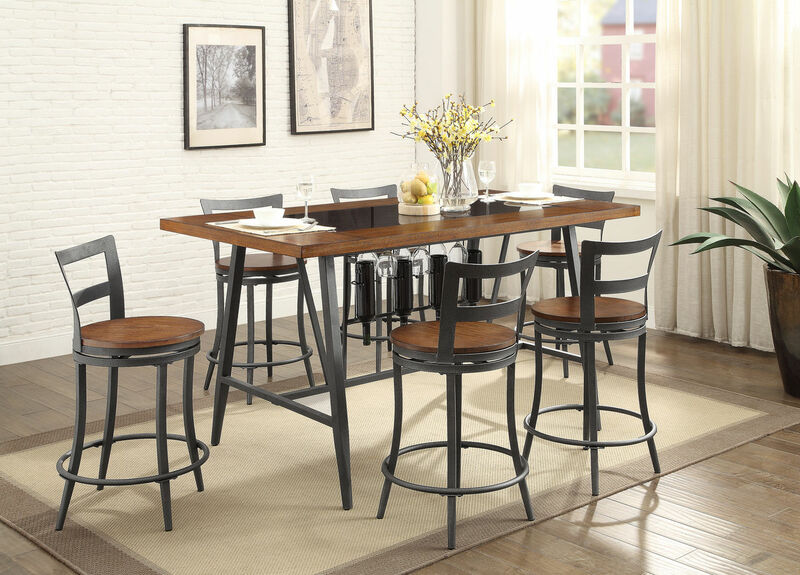 The cherry finish of the wood is accented by the Gunmetal finished metal.